Meet the King of Superfoods ... - Anti-Age Naturally! A few weeks back in your weekly anti-aging hacks I wrote about phytoplankton. 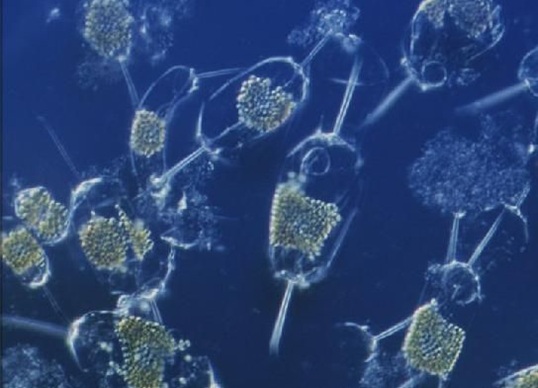 Have you heard about marine phytoplankton? It’s a micro-algae found in all oceans. And it’s packed with health benefits. So much so that NASA and many scientist are calling it the most important plant in the world. This nutrient is also being coined the king of superfoods and deserves an entire article or two for its uses. Here are just a few – improves energy, heart function, circulation, cellular repair, brain function, vision and joints. I’m so impressed with the research. More to come on this subject. But, in the meantime, if you want more information and a good source click here. So for today’s article I’d like to circle back and tell you a little more about this important plant. Some are even calling it the “fuel of life”. You see, these little microscopic organisms float around in the ocean, ponds and lakes taking the carbon dioxide in the air and turning it into oxygen, much like the plants that live on land. But what’s different about these organisms is that they convert minerals to a form that animals can use. They are also rich in Omega-3s, amino acids, trace minerals, carotenoids, protein, antioxidants, Vitamins A, B1, B2, B3, B5, B6, B12, C, and D.
According to NASA researchers, phytoplankton provides 90% of the earth’s oxygen, feeds over 99% of ocean life, and can influence clouds and the climate. That’s one powerful and astounding little organism. As I mentioned in my hacks, the marine algae is being touted as the king of superfoods. One reason is because of the nutrients it contains, which is more than any other superfood. And secondly because what this organism does for the air and marine life it does for humans too – detoxifies and oxygenates. Because your body is attacked daily by oxidative stress, toxins and pollution your cells become damaged. Other things that can affect your cells are poor diet and lifestyle choices. When your cells become damaged and weak is when premature aging, chronic diseases and health issues arise. And now you might be starting to see the big picture with phytoplankton … and why it’s being called, the fuel of life. Phytoplankton removes oxidative stress, oxygenates every cell, and repairs your DNA. In fact, studies performed by Dr. Jerry Tennant, founder and director of the Tennant Institute of Integrative Medicine and educated at Harvard University, say that marine phytoplankton is the key behind the rapid recovery of many of his critically-ill patients. And results were being noticed within days of taking marine phytoplankton. But be careful when purchasing marine phytoplankton because not all supplements are created equal. Some are made from contaminated waters. And that’s why I buy mine from my friend Ian Clark. You see, Ian was once overweight and terminally ill. Now, a decade later, he is healthier than he has ever been. And all of his diseases are gone thanks to marine phytoplankton. Because of Ian reversing his health issues he went to great lengths to create a pure product that isn’t grown in the polluted waters. Ian’s marine phytoplankton is carefully grown in perfect, pristine conditions in a photobioreactor. A photobioreactor is a sealed growing environment with the perfect ingredients. Ultra-pure ocean water, pure CO2 and natural sunlight provide the exact conditions to grow marine phytoplankton at its best. Which describes his facility in Spain. If you’d like to read more about Ian’s story click here. To go directly to purchase Ocean’s Alive (Ian’s marine phytoplankton) click here.